Home ownership is of significance for a better percentage of people. Constructing or buying one’s dream house is a big achievement. But that is not all. There is the important phase of interior design. It is out of perfectly planned interior design that all the spaces in a home become unified. And it is not just about hastily choosing a few colors, wallpapers and thinking all is done. Interior design is a creative process that entails more than combining a few colors and wallpapers to decorate a home. Actually, it is a complex process that comprises many elements. Each element has to be deeply analyzed and assessed as it plays a unique role and affects the entire outlook of interior design. 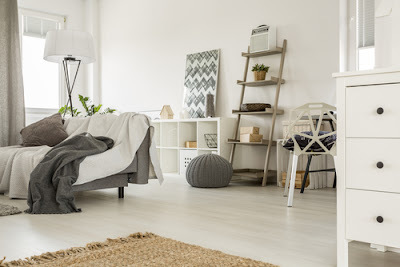 This article looks at 8 interior design elements. · The size and scale of the available space. · Flaws that a space has and how they can be influenced to make them unnoticeable. 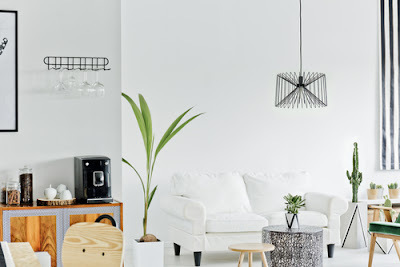 · Furniture and equipment arrangement in a particular space. This is an element of interior design that influences how the interior environment appears in the long run. Quality lighting creates an inviting mood and tranquility in a home. Quality lighting adds impact to the color, texture and pattern chosen for interior design. If there is need to make paintings, pictures and works of art stand out, opt for accent lighting. Accent lighting lays emphasis on the target artwork or painting if it is very bright than any other lighting in a room. Halogen lighting is the best for accent lighting. Lighting is used for a specified objective. An example of task light is a bed lamp which can be installed to enable reading while in bed. It is used to convey a certain mood in an interior space. Lighting can also be looked at based on specific rooms where it is used. A particular space in a home determines the type of lighting used. Certain rooms require bright lighting while others work with moderate/soft lighting or down lighting. Below are few examples. For these spaces, floor lamps add a positive touch to the chosen design. This space is important for resting. Lighting should be calm and soft to create a relaxing atmosphere. A table lamp situated in the bedroom should be of medium brightness. This is one of the busiest places in a home and requires bright light. Some spaces in a room normally have so much natural light during the day. At night, the same spaces become very dark. The spaces can feel gloomy if they do not have enough lighting at night. The lighting in this spaces can further be intensified by using down lighting. This lighting technique simply ensures addition of more light in a space. One rule of interior design is that a space must have a focal point. This is an object in a space which acts as the center of attraction. It is the first thing gets the attention of people once they are ushered into a room. It is unique from the rest of the objects. If you are involved in home renovation process, consider making the focal point more visible. An example of a focal point in a room can be a chimney corner. Nonetheless, the focal point must not contradict the overall theme of interior design. Color has always had a say in interior design. Mixing suitable colors creates an artistic look in a home if they are used in the right room. Some interior design experts recommend color red for interior spaces such as dining rooms. Texture is either smooth or rough. It dictates the appearance of a surface. Texture sets the mood in a space. It goes hand in hand with color and increases interior design appear. Patterns are of different shapes and styles to suit different interior spaces. · Use monochromatic colors or complementary colors to complement the interior design theme. · Combine very strong patterns with subdued patterns so as not to suppress an interior space. · Use smooth and rough textures to create balance in a room. · Use small patterns on large furniture to create a subtle look. · Use textures and patterns to emphasize focal points in interior spaces. · Combine different colors, textures and patterns to bring out their uniqueness. 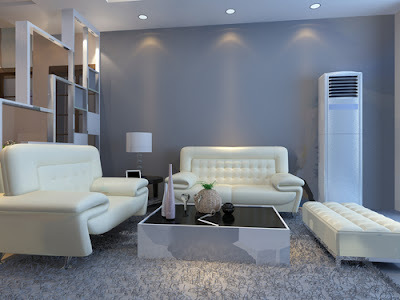 An interior space that has no balance projects interior design that is of poor quality. Items have to be well aligned with the space in which they are positioned. There are three types of balance that are used. It is simple to realize as it involves correcting proportioning all items. A repetitive pattern is used to place similar items in in the same way but in reverse positions. Where creativity is a concern, this type of balance can be used. Although it requires a combination of creative and practical skills, a skilled interior designer can achieve it. Items are proportioned using a distinct focus. To wrap up, through the able guidance of an interior designer, home design can be implemented successfully while considering the elements discussed here.